Y’all know I love trying/creating new recipes. You also may have figured out that I love spicy food (even though it doesn’t like me). When I saw this post by Isabel (@familyfoodie) on Instagram I HAD to try making SPICY deviled eggs. Thankfully my friend Davina (@davinavb) shared a basket full of peppers she grew and made this deliciousness possible. If you’re like me, you love sharing your recipe successes with friends and last night I did just that. Feedback was great and nearly everyone loved the kick and crunch of these devilishly good eggs. 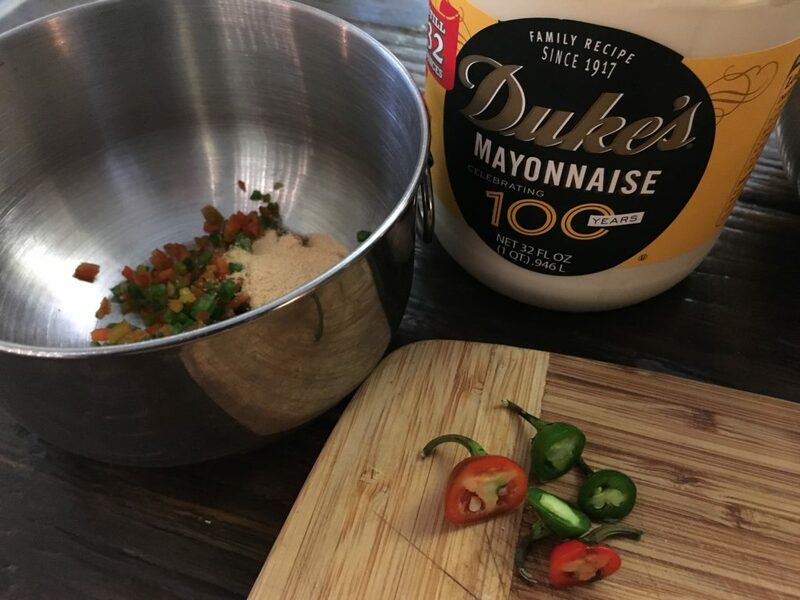 I hope you enjoy making this recipe. I truly made it up as I went along and was inspired by Isabel’s post (that bag in the cup thing is a LIFE SAVER!). Be sure to leave a comment to let me know what you think of this recipe. I’d love to hear your feed back! 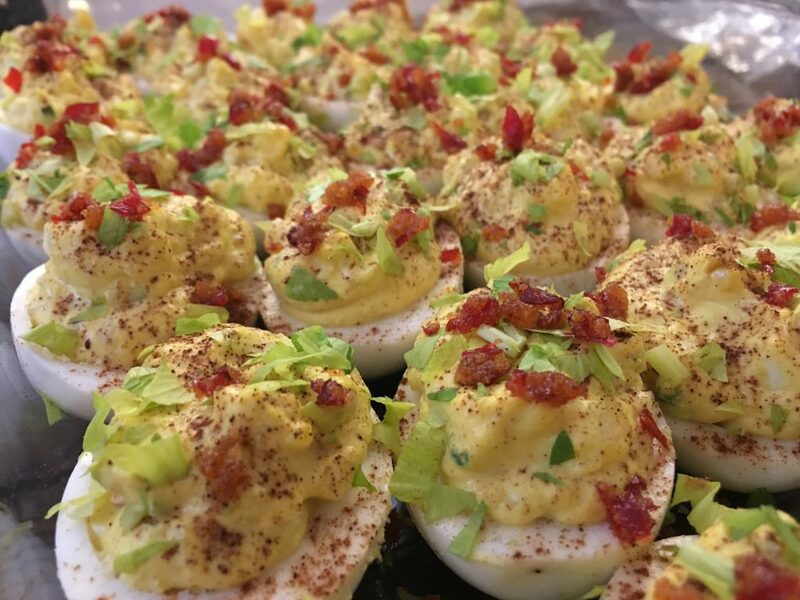 These Jalapeño Popper Deviled Eggs are totally the bomb!! So perfect for Labor Day but I am not sure I can wait! This may or may not be #sundaysupper What’s cooking in your kitchen? in small frying pan mix 10 Thai chili peppers (deseeded and diced), 3 tsp olive oil, 1 tsp onion powder, 1 tsp garlic powder - cook until browned.